After nine days on the drying beds, the four way process experiment is only a couple of days away from being hulled, sample roasted, and cupped. In the last few days of drying, we have recorded a few observations, regarding the conditions of each of the samples. For this experiment, we selected the raised bed method of drying; due to the fact that regardless of the level of sunlight, the coffee samples dry at a more consistent rate; and therefore, each of the samples could be more controlled over the course of the drying process. In previous experiments, we have analyzed the degree to which drying method influenced the coffee quality, however, the notes taken here, are more geared toward looking at how each of the samples changed over the course of one drying method. This method includes the removal of the mucilage from the parchment coffee, via fermentation, before it is spread out to dry. In this experiment, the wet, unwashed, parchment, was introduced to the tank at approximately 6:00 pm in the evening, Monday and subsequently ‘washed’ at 2:00 pm, the following afternoon, Tuesday. After straining the coffee of the water in the fermentation tank, it was immediately spread out onto the drying beds, with the other samples. 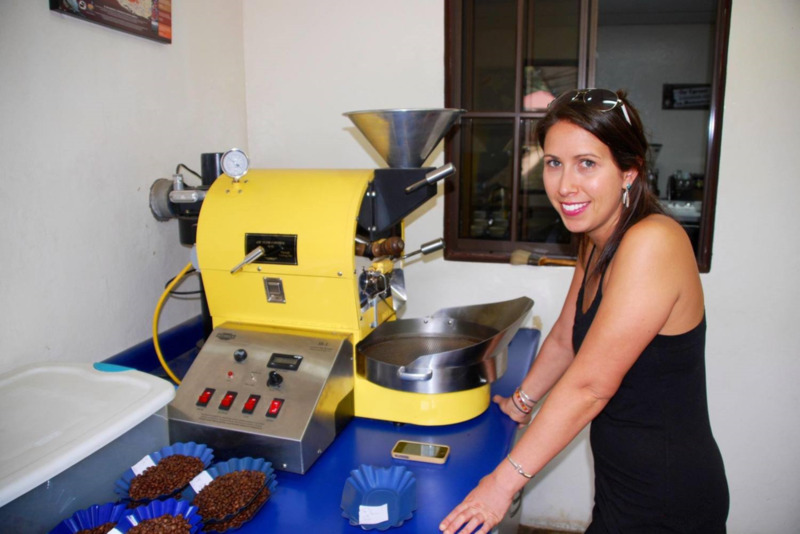 Since the ferment lasted approximately 20 hours, the coffee began its drying process, behind the other samples, in the sense that they had begun drying the previous evening, immediately following the wet milling. Despite a delayed start however, the full washed coffee sample was the first to complete the drying time on the beds, reaching 12.5% moisture content at 4:00 pm, the following Monday, exactly 7 days after arriving at the mill. This meant that in underwent a total of 146 hours of drying to reach the desired moisture content. Without being able to speculate on whether or not the internal composition of the bean is altered in the fermentation process, we cannot make assumptions as to whether or not this process method dries quicker due to internal (green bean) qualities; however, we can look to the fermentation process as an explantation for a dramatic change in external (parchment) qualities, that subsequently enable the coffee to dry at a faster rate than any other. The parchment itself appears much cleaner than the other samples, showing a smooth cream colored surface that, over the course of the drying process, turns nearly white. The cleaner, lighter color, is due to the fact that the parchment is washed completely of its mucilage. This enables the external parchment to dry more quickly than any other process method. Also, since the parchment is more exposed to the sun, our hypothesis is that this leaves the internal bean, less insulated from the heat of the sun, and air movement, constantly present throughout the drying process; and subsequently puts it through a faster drying time, in this case, less than seven days. After being taken from the patios on Monday afternoon, it rests in our office laboratory, to await the rest of the samples, before be cupped alongside each of the others.